Wasn’t the Tory PPC here last time involved in a scandal just before Polling Day? He was quite high profile, but not been heard of since. The new PPC here seems very low profile. I went campaigning in Hornsey and Wood Green and I didnt meet one libdem supporter from all the doors we knocked. I think Catherine West has a good chance of winning here and get rid of Lynne. As Featherstone was a minister in the Department of International Development at the time, the claim is clearly false. Would this be libellous or even a matter for an Election Court (Like Oldham East and Saddleworth 2010)? Clearly given her personal wealth, Featherstone would have no problem funding a prosecution. The are demanding a retraction or are reporting to police. I wonder how many went out? Not many days left to print up a retraction and get it out.. This adds more spice to the contest. Ms West’s response will be very interesting. If she does issue a retraction notice (like Alex Sobel has had to do in Leeds North West), it does little for her credibility. If she does not, a referral to an Election Court must be an option. Given the experience of Oldham E & Saddleworth, LDs would be thumped if Labour wins next week & they force a contest. Well AM thinks might be a wee bit different… we are almost guaranteed a fair few weeks of political chaos and who knows maybe even another General Election. Over and beyond that a rerun would almost certainly take place after Nick Clegg has been despatched to the dustbin of history. If the police report the matter to the Election Court before the poll, or even after the poll, the die will have been cast. Frankly it was sloppy leaflet writing here… what about libel…? Who needs a second election when a libel suit might be a juicy going away present for the current incumbent..
Newspapers with very small attributions are used by all parties – it is a standard campaigning method..
How anyone can criticise the Lib Dems when this is going on beats me! Hardly SA. That was a despicable and libellous allegation against someone with fine anti-racist credentials – also one they should have known to be untrue. Some people here seem to be in denial that Labour can fight very dirty when they want to. And Featherstone is also extremely rich. She could afford to take West to the cleaners in court. Quite frankly it’s something that 30 seconds spent on Google or Wikipedia could have demonstrated to be false. Why couldn’t Labour just retract and apologise immediately, then everyone could just get on with the campaign there? l don’t really see the funny side. l will not be happy if Labour loses the seat because they’ve been found to tell an untruth. They could have won easily enough. My experience tells me that even if the LDs have themselves been guilty of misrepresentation or have told porkies, they won’t hesitate to take legal action notwithstanding. A retraction will be necessary. As someone mentioned, why don’t Labour just retract the comments and put the matter to bed. Do you think Labour will lose this seat because of this matter Barnaby? How many voters will actially be aware of it? What l’m saying is that they could lose the seat IN THE COURTS if they don’t retract. The courts could force a by-election which Labour would surely hold easily. The biggest risk from this is Catherine West being potentially bankrupted if Featherstone sued her. They’ll find a way of retracting I expect. My understanding is that Lynne Featherstone has quite a lot of respect locally even among those not planning to vote for her. What on earth possessed Labour to put out this spiteful bit of nonsense? It was a mistake. Sloppy fact checking. A retraction has been issued and a new leaflet is being delivered with the correction. I’d be very very surprised if it affects the outcome. none of these controversies have discernible effects on elections most people will have never heard of it except political obsessives – remember Gillian Duffy led national news for days and Lab still gained Rochdale. I now have this as a LD HOLD. The Labour party tactics will give Featherstone some sympathy votes, & we can see evil of CON GE2010 voters switching to LD in LDEM/ LAB marginals. Also of course the SURVATION poll in March put Lynne Featherstone on 36%, just 1% behind Labour on 37%, with the Conservatives back on 15%, Greens 7% and Ukip 4%. electionforecast.co.uk say it’s n&n, 37% each. Mr Patrick Power clearly doesn’t buy that – he still has Labour 10-3 on & the LDs 9-4 against! That would normally denote a very high degree of certainty. Lab Gain still for me. I have campaigned in this seat if Lab can get its vote out in Bounds Green, Woodside & Noel Park so that there isn’t differential turnout with wards in the west its game over. Lab will also beat LDs in Hornsey & Stroud Green comfortably. It will be closer in the other wards. I tend to think the LDems best chance at retaining the seat is a strong Tory tactical vote. The Tory candidate has barely campaigned so this could well happen. The Tory vote would have to halve for Featherstone to have the remotest chance. I don’t see that happening, especially as Tory voters here have already been very heavily squeezed in previous elections. They are down to a robust core. I regret that Featherstone is going to lose, as she has been very brave in playing such an active role in coalition despite her left leaning seat. The flaws in the methodology of the Lib Dems poll were discussed earlier, and are such that it shouldn’t be used at all in predicting the outcome of the seat. It should be noted that Survation refused to put their name to it, due to the fact that the Lib Dems made the decisions on the methodology of the poll (very likely with the intention of generating favourable numbers for themselves). Have Labour actually sent round the retraction leaflet yet RR? I agree with Barnaby, and I’m speaking as a Labour supporter as well, the leaflet was unnecessary and to get basic facts like that wrong is pretty poor stuff. I would imagine if it is close on Thursday (my prediction is still Labour gain just) Lynne Featherstone will be tempted to take things further even if Labour do retract. She is 64 and a multi millionaire so has no personal need to keep her seat. Counting signs is meaningless. I very much doubt it’ll be all that close. The Evening Standard did a very good piece on the H&WG campaign the other week. Door after door after door, former Lib Dem voters were saying “we like you Lynne but can’t vote for you due to the coalition”. The look on her face in the pictures was resigned to defeat (anybody who’s been involved in electoral politics knows that look). The fact is though that in other places, at other times, the LibDems have also put out leaflets and placed stories in local papers that – how shall I put this – misrepresented the facts as a reasonable person might interpret them. 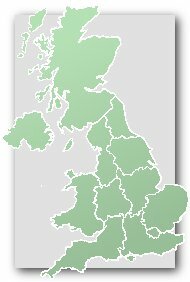 The LibDem website linked to in an earlier post doesn’t express any shame over the fact that the ‘Go Home’ vans were indeed sent round sensitive areas, during the last government, and that Lynne Featherstone was a minister in that government (if not in that department) and did NOT resign in shame at what was done. It’s one thing for her to say now – when history cannot be changed – that “Had I been in the Home Office at this time – those awful vans would not have happened”, but when she could have made her feelings known, she instead held onto her government job. She could, instead, have said at that time that she was not able to remain part of the government, and that she was fundamentally disgusted by the vans. She did not do that. I don’t think it matters so much that she was at International Development, rather than the Home Office: her feelings should have been the same. Collective responsibility surely means she has to carry the burden for what her government did. “We will control immigration” is one of Labour’s key pledges of the election (it says so on that block of limestone, and on that red mug). So I’m afraid that moaning about the Go Home vans is the height of hypocrisy. I hope Featherstone bankrupts the Labour candidate in court. That’s a bit extreme: every government since I don’t know when has controlled immigration, to the degree they thought appropriate. Every Tory, Labour and coalition government. But until the last one, they didn’t send vans round. Though you might remember the Tories in Smethwick…..
Not meaningless – they also act to show that other people are still supporting her. I’ve just got a funny feeling quite a few people will swing back to Lynne at the last minute especially in the western half. Lab will need to get a decent turnout in the east to be sure of this seat. Not long to go though, and Catherine would make an excellent MP too – she was my councillor for many years and was very good. As I understand it, the retraction leaflets started to be delivered yesterday and continue to be delivered today. That”s dependant of course on volunteers being available to do the delivery. I’ve had at least two emails asking if I can help. It would be better of course if we had a candidate with a personal fortune who could simply pay for them to be delivered. My point is that Labour are happy to whip up sentiment about immigration being out of control in their WWC seats, then criticise Lib Dems for allegedly having done the same in metropolitan areas. Total hypocrisy. My view is that in this constituency, where I know one of the candidates, neither would stoop to deliberate falsified smears. I have some insight of how hard it is to avoid errors because you’re working flat out, and for the left hand not always to know what the right hand is doing. Almost everyone working on the campaign is a volunteer with a day job. That’s how our democracy works. Barbara Roche lost her seat because she voted for the Iraq war. In my view, I think it highly likely that Lynne will lose her seat not because she hasn’t been a good constituency MP, but because she is part of the coalition. This is a constituency whose voters like to punish their representatives. Lynne wasn’t a Home Office minister at the time of the vans, but from the moment the LDs went into coalition the week after the election, her fate was sealed. HWG doesn’t like the Tories. Teddy, you should really consider a career in stand up. You have some good material from what I’ve read.